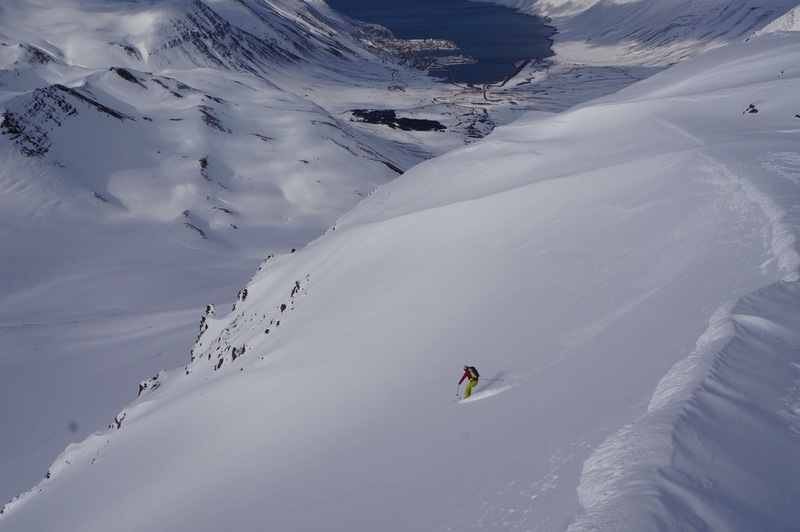 The Troll Peninsula of northern Iceland is a magical place that seems like it was created with backcountry skiers in mind. In late April and early May there is the time to be here! The snowpack is usually deep and winter snow is still a possibility. The days are long - nearly endless - and the light is fantastic. I guide land based trips, rather than boat based trips, because I feel this gives me the best chance of finding the best snow and weather. I've been guiding in this area since 2014 and know the terrain well. Besides the skiing, the landscape is otherworldly. There are hot springs and waterfalls; horseback riding and whale watching; all the seafood you can handle and views of the ocean that will take your breath away. Whether you've dreamed of skiing in Iceland for years, or didn't even know you can, I would love to share this experience with you. 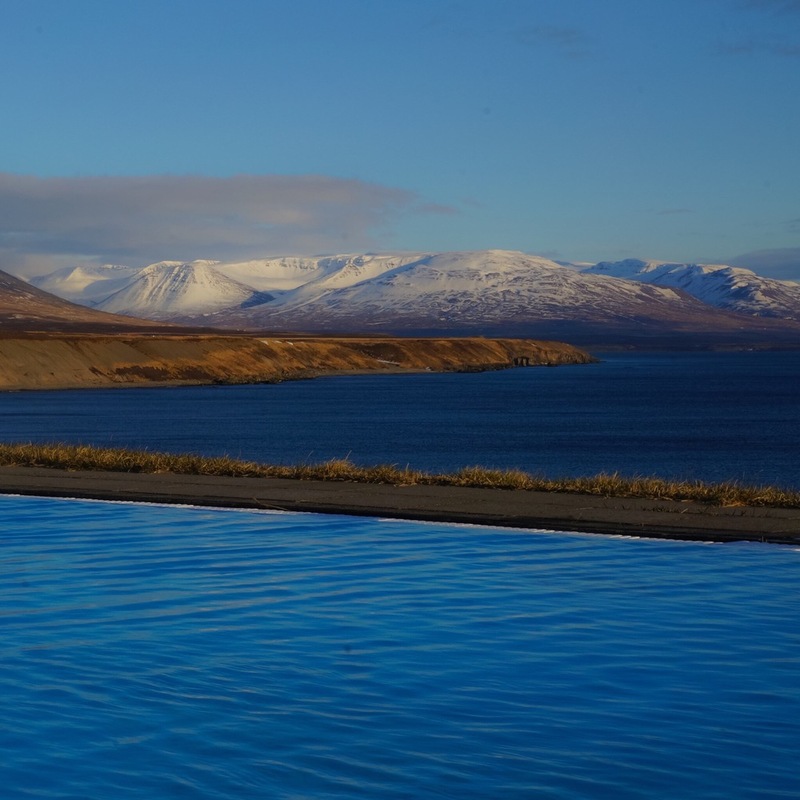 My trips to Iceland are all custom tailored to small, private groups. First, put together a team between one and six people. Next pick your dates. I highly recommend at least eight-days and ten is better. Contact me and we can discuss a more specific itinerary and which locations to use as bases in order to best fit the needs of your group. - One person in the group will cost $1000 per day. - Two people in the group will cost $600 per person per day. - Three people in the group will cost $450 per person per day. - Four or more people in the group will cost $400 per person per day. These prices include guiding, ground transportation, lodging and meals at home, which will includes all breakfasts, touring food and most dinners. It does not include air travel, alcohol, meals in town or weather day activities. I would love to make these trips completely "all inclusive," but there are too many variables. If the weather is stellar and we ski everyday, there won't be many additional costs. If there's a day we don't ski, there's always lots to do and the group can decide how it wants to play. Hot springs can range from $9 to $35; horseback riding and whale watching are over $100; visiting the coast and waterfalls is free; a visit to the coffeeshop will be $5 to $20; alcohol is three-times as expensive as the U.S.; helicopter bumps and boat rides are in the thousands. Additionally, I will cook many of the dinners to save us money, but it's always good to go out for some true, traditional meals - I try to do this twice per trip. This can cost between $30 and $200 per person and averages a little over $50 for most people. 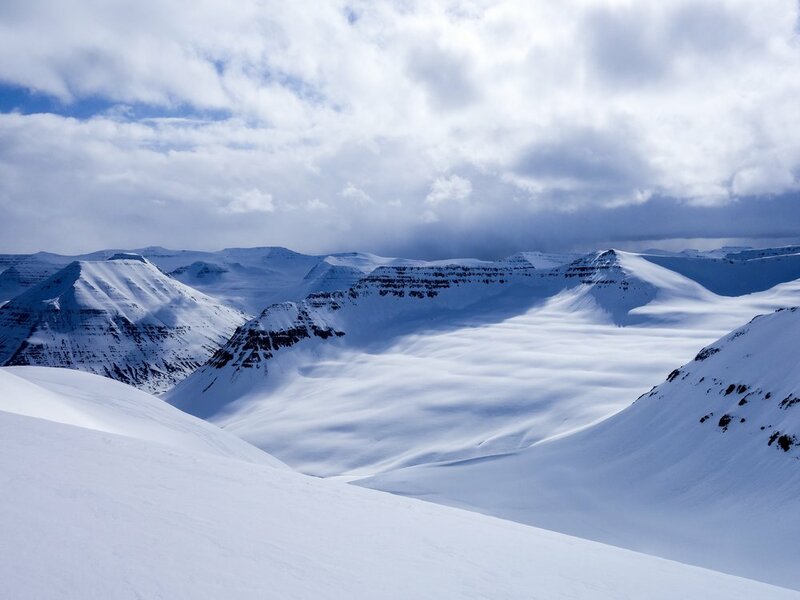 Skiing in Iceland has become popular and it's a good idea to commit to this trip well in advance - I recommend sometime between June and November of the year before you want to go. I will collect a 25% deposit at time of commitment and the balance will be due in January. 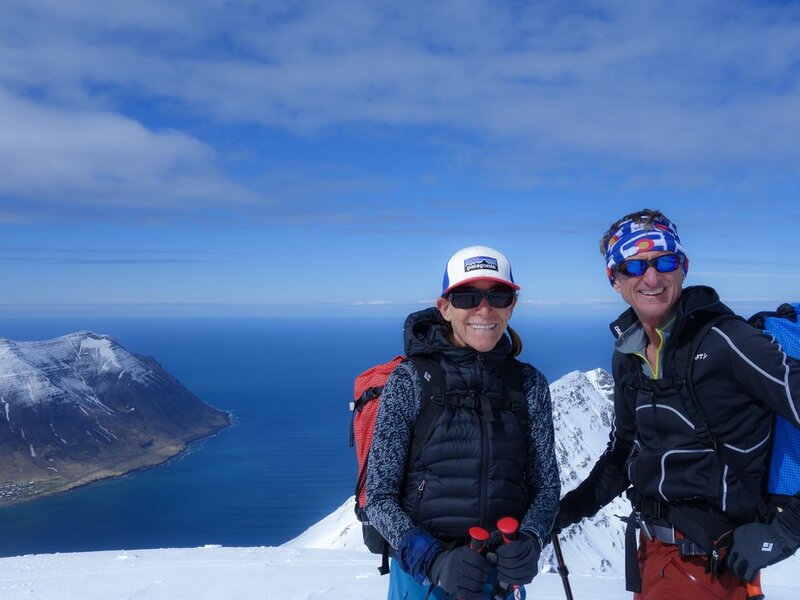 Previous ski touring experience is helpful in Iceland. 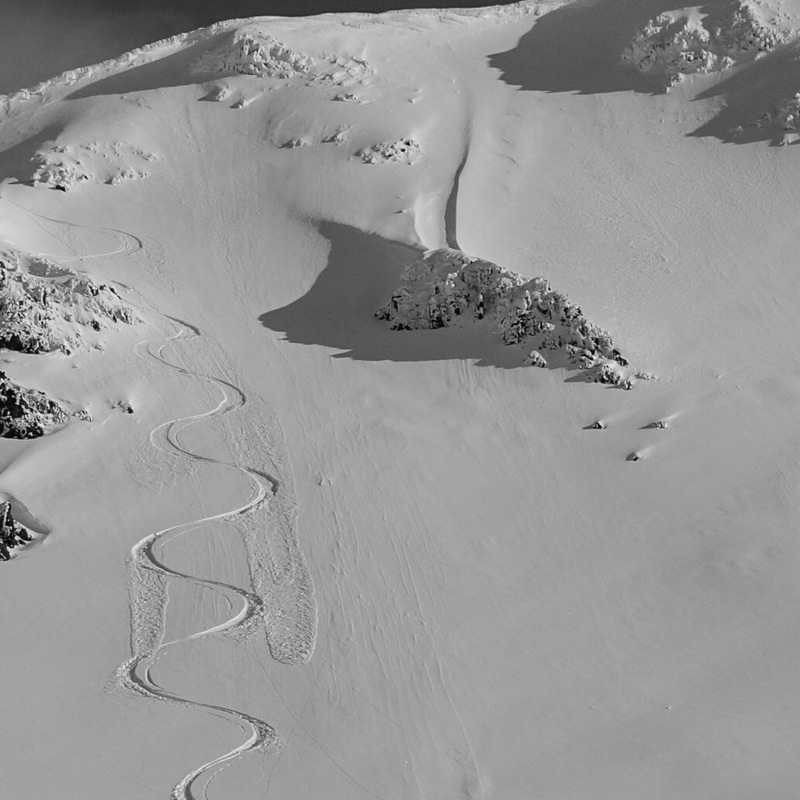 The ability to do efficient kick turns and ski in variable conditions is important. I am happy to do some coaching, but it's great if you have some practice. The terrain isn't extremely steep - most of the slopes are the 30 to 40 degree range. 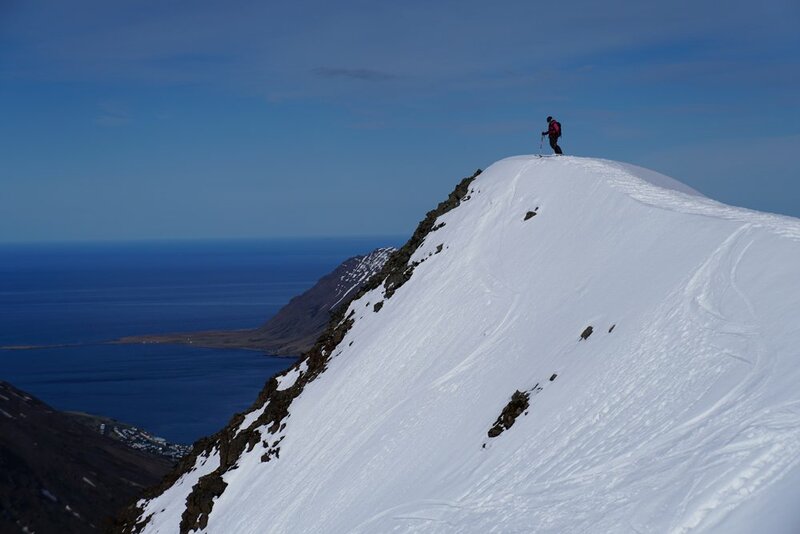 If you enjoy skiing powder on the steep runs at most resorts, you'll enjoy the terrain in Iceland. It's not ski mountaineering terrain. Sometimes we need to use ski crampons near the ridges, but it's rare that we need boot crampons or ice axes. It's not glaciated, so we don't need harnesses and ropes. It is typical that the first climb of the day will be between 2500-feet and 3000-feet of elevation gain. And if the weather permits, there can be several more climbs after that. And runs, of course! 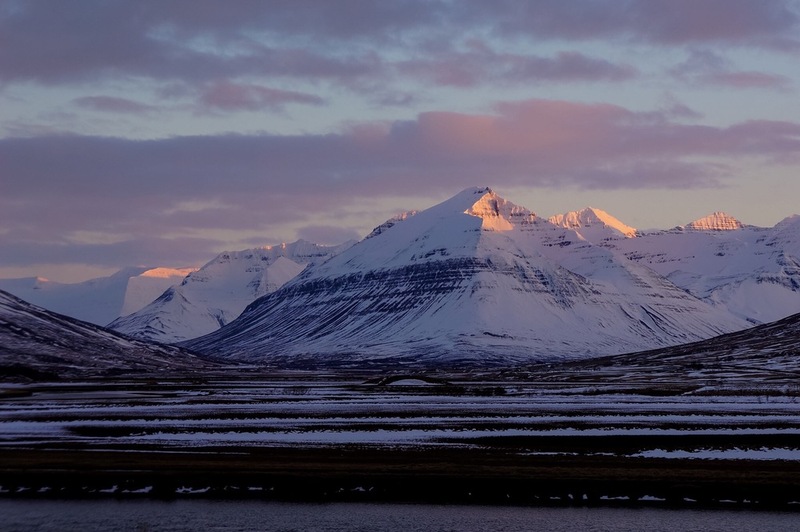 You can have a successful trip to Iceland by being patient and moving at a steady pace. It's also an amazing place to put together some huge days! 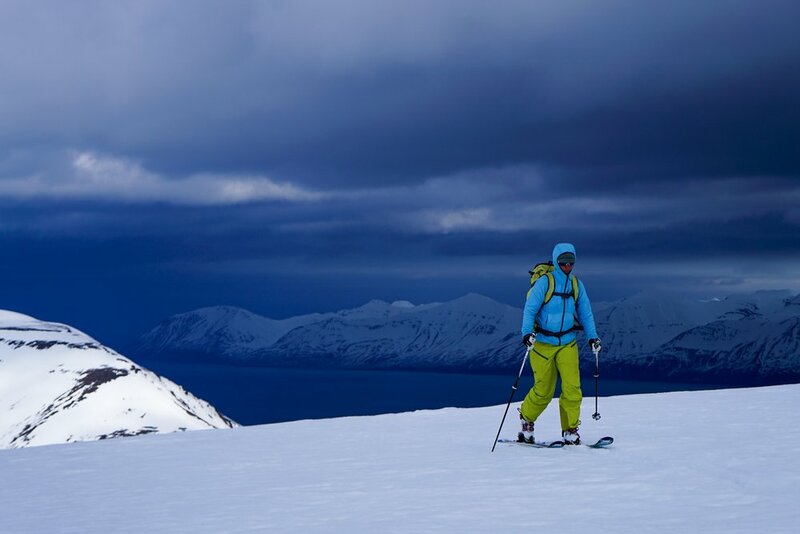 You'll want a fairly "normal" ski touring kit - you don't need really fat skis and you probably want something more substantial than the feather-weight gear made for fitness. Skis between 90mm and 110mm underfoot; tech-style bindings, and boots that are already broken in are perfect. A 30-ish liter backpack, beacon, shovel and probe are required. Ski crampons are required and boot crampons and a light ice axe are recommended. Waterproof pants and jacket, good base layers and a couple insulated jackets are a must. Once you commit to the trip, I will send a detailed PDF that describes most of the aspects of the trip in detail. And, of course, I will be available to answer any and all of your questions. Want to stop dreaming and start scheming?